Five women. Five sublime authors of crime fiction. One stunning book. Gripping thrillers, packed with deviously executed crimes and in-depth investigations are some of the most popular reads available on traditional and virtual book shelves today. 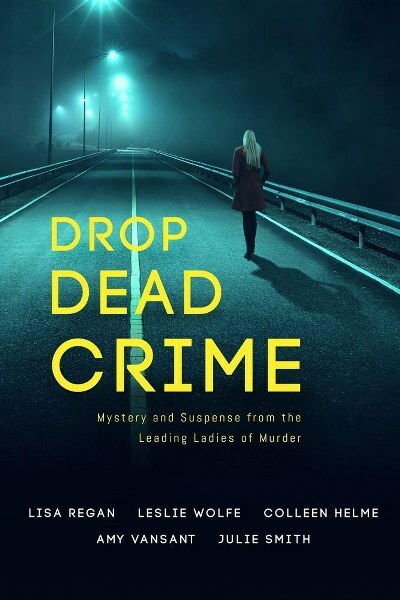 Now, you can sample some of the best female writers of crime fiction, in Drop Dead Crime, a collection of novellas packed with the twisted plotlines and memorable characters that excite readers and leave them demanding more. Lisa Regan, Leslie Wolfe, Colleen Helme, Amy Vansant, and Julie Smith are among the most skilled and prolific writers of the genre today, and each one knows exactly how to tease a story to maximum effect. Their use of strong female leads, combined with delicately balanced plots, means suspense is always kept at a fever pitch—ready to boil over at any second. Lisa Regan’s Over The Edge is guaranteed to keep you up at night. When P.I. Jocelyn Rush witnesses a young mother jump from a bridge, she is determined to solve the mystery of why, and what she finds is a complex web of secrets and lies so shocking it could destroy the people left behind. Leslie Wolfe introduces FBI Agent Tess Winnett in Not Really Dead, a fast-paced, intense thriller about a serial killer who makes a terrible mistake. Colleen Helme stuns with Behind Blue Eyes. A grisly murder along with a new client hiding a deadly secret is just the beginning for Shelby Nichols, mind reader extraordinaire. Don’t miss this exciting thriller! Julie Smith brings a dazzling story of suspense, The Big Crazy. Detective Skip Langdon, NOPD, while navigating a world of chaos and betrayal after Hurricane Katrina, takes on a gang of rogue cops who may be acting as self-appointed executioners. Get a copy of Drop Dead Crime today and sample some of the best crime fiction writing, from some of the best female crime writers around! 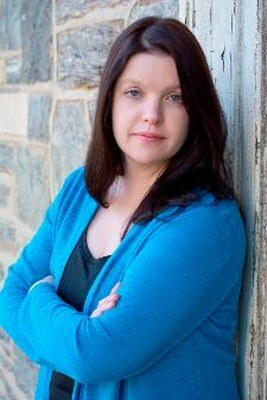 Lisa Regan is the USA Today & Wall Street Journal bestselling author of the Detective Josie Quinn series as well as several other crime fiction titles. She has a Bachelor’s degree in English and a Master of Education degree from Bloomsburg University. 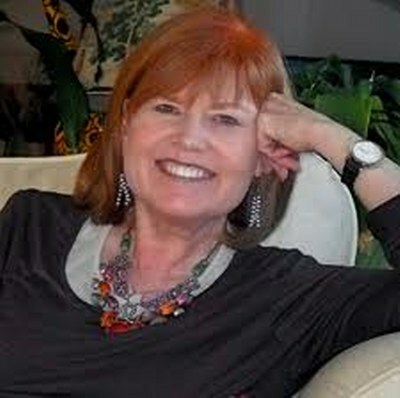 She is a member of Sisters in Crime, International Thriller Writers, and Mystery Writers of America. She lives in Philadelphia with her husband, daughter, and Boston Terrier named Mr. Phillip. 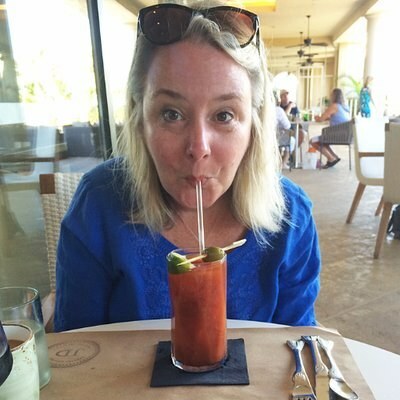 Amy Vansant is a Wall Street Journal and USA Today bestselling author, specializing in fun, comedic reads about accident-prone, easily distracted women with questionable tastes in men. So, autobiographies, mostly. Ha! But seriously… She writes happy, occasionally slightly twisted, thrilling, romantic comedies, mysteries, and urban fantasies. Edgar-winner Julie Smith is the author of more than twenty mysteries, most set in New Orleans and starring one or the other of her detective heroes, a cop named Skip Langdon, and a PI named Talba Wallis. (Both female, both tough and wily.) She also has two series set in San Francisco. Her novel, NEW ORLEANS MOURNING, won the Edgar Allan Poe award for best novel. 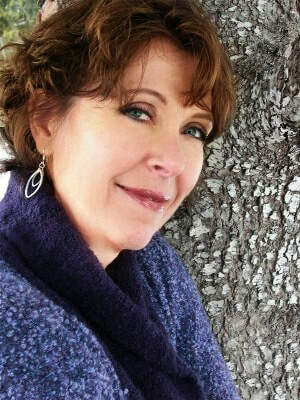 She changed direction in 2010, with her start-up digital publishing company, booksBnimble (www.booksBnimble.com), beginning with four books by friends. She later added other authors and got the rights back to her own books, Then in 2015 booksBnimble spun off bbnmarketing (www.bbnmarketing.com), with the aim of helping self-published authors find their audience and backlist print authors find their way back into the game. Twelve years after Hurricane Katrina; Skip Langdon returned last year in MURDER ON MAGAZINE. 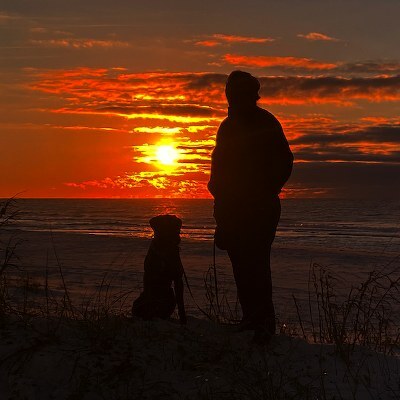 But so many readers have asked–what did she do when Katrina struck? That story’s THE BIG CRAZY. Leslie Wolfe‘s novels break the mold of traditional thrillers. Fascinated by technology and psychology, Leslie brings extensive background and research in these fields that empower and add texture to a signature, multi-dimensional, engaging writing style. A complete list of Leslie’s titles is available at http://wolfenovels.com/titles. 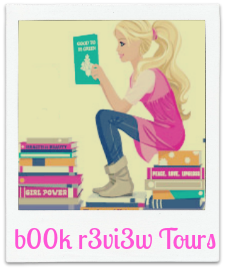 Become an insider: gain early access to previews of Leslie’s new novels!